Jacqui Lambie confirms she is leaving PUP. 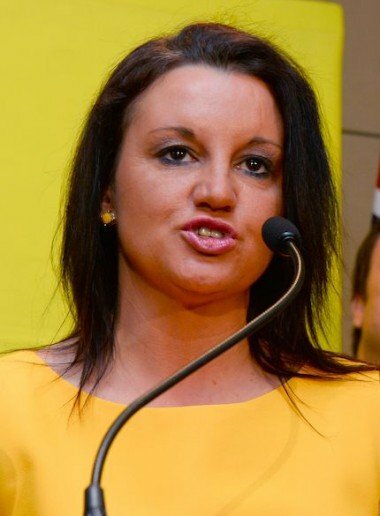 Jacqui Lambie confirms split with the Palmer United Party. In an exclusive interview with The Daily Telegraph, Palmer United Party Senator Jacqui Lambie has confirmed she is leaving the Palmer United Party to sit on the cross-benches as an independent. Senator Lambie says she has been overwhelmed by the support of the Tasmanian people and that voters have urged her to “get out there and have a shot at it yourself’’. The Senator is now awaiting legal advice on how to remove herself from the Palmer United Party and a formal announcement will be made soon after. The former soldier accused Mr Palmer of using standover tactics to intimidate her and warned she would continue to hold the Senate to ransom over the defence pay deal. “I want everyone to put the pressure on the Abbott Government to do what is fair for our Defence Force personnel. Give them their 3 per cent pay rise. And give them there Christmas bloody leave back so they can spend it with their families,’’ Senator Lambie said. Gunmen kill 28 bus passengers in Kenya. Islamic extremist group Al Shabaab have claimed responsibility for an attack on a bus in north-eastern Kenya which has left 28 passengers dead. 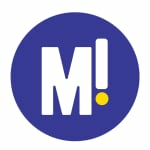 Gunmen seized the bus near the Somali border, identified the non-Muslim passengers (19 men and nine women) and ordered them to step out of the bus.They were then shot. Ahmed Mahat, one of the passengers on the bus, said everyone was forced to recite verses from the Koran. “People were told to stand in two lines, comparing people who were of Somali origin and others who were non-Somali,” he said. Families in outer Melbourne suburbs struggle to put food on the table. A new household survey by the City of Whittlesea has found that almost one in 10 families living in Melbourne’s out suburbs could not afford food at least once in the past year. The survey reveals increasing pressure on middle-class families who are struggling to pay for bills and groceries. 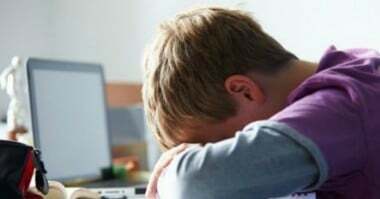 The ABC reports that Melbourne-based support agency Kildonan United Care have found demand for financial help had increased more than 100 per cent in the last year. 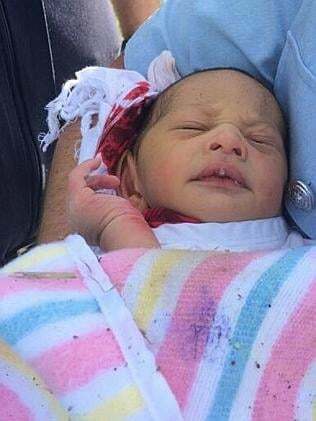 Newborn baby found in drain in Sydney’s north west. A newborn baby boy found down a drain in the Sydney suburb of Quaker’s Hill this morning has sparked an urgent manhunt for the child’s parents. Cyclists riding along the M7 Motorway cycleway heard a baby’s cry at around 7:30am, coming from a drain. Police later removed the baby from the 2.5 metre-deep drain. The baby boy has no obvious signs of injury but has been taken to the Children’s Hospital at Westmead for check ups. Anyone who has information about the identity of the child is urged to come forward. 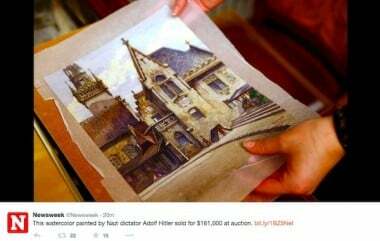 A painting by Adolf Hitler has fetched $185,000 at auction. A 1914 watercolour painting by Adolf Hitler has has been bought for 130,000 euros ($185,000AUD) at auction in Germany. The work titled Standesamt und Altes Rathaus Muenchen (Civil Registry Office and Old Town Hall of Munich), is one of about 2,000 pieces of art that Hitler painted as a struggling young artist. According to the head of the auction house, Kathrin Weidler, the buyer was a private person from the Middle East but there had also been inquiries from Asia and America. Ms Weidler said the vendors decided to donate 10 per cent of the proceeds to charity. When asked if the auction was tasteless, Ms Weidler said complaints should be addressed to the sellers – two unidentified German sisters in their 70s.